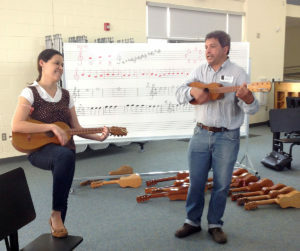 Professor Eduardo García, a member of the San Diego-based son jarocho group Son de San Diego, teaches in the School of Arts at California State University San Marcos. He is also, we are proud to say, a teaching artist for the Center for World Music’s World Music in the Schools program. He has delved deeply into the study of son jarocho, the traditional music, dance, and songs of Veracruz, Mexico. His focus includes the instruments, the style of music, and above all creating a safe place for learning music and building community. Eduardo’s interest in son jarocho regional folk music was sparked by an immersive study trip to San Andrés Tuxtla, Veracruz, Mexico in 2002. 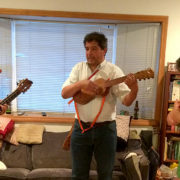 His journey to the home of son jarocho inspired his study of the tradition, taking him through many varied experiences in community-based music. He believes it is important for young people to have access to as many musical cultures as possible. This global arts-based approach to learning brings the world to his students, and broadens their perspectives and sensibilities. This particular music of Veracruz—son jarocho, son abajeño, or música de cuerdas, as it is known in different areas of the Sotavento region—is important because at its core lies the central component of cultivating community. 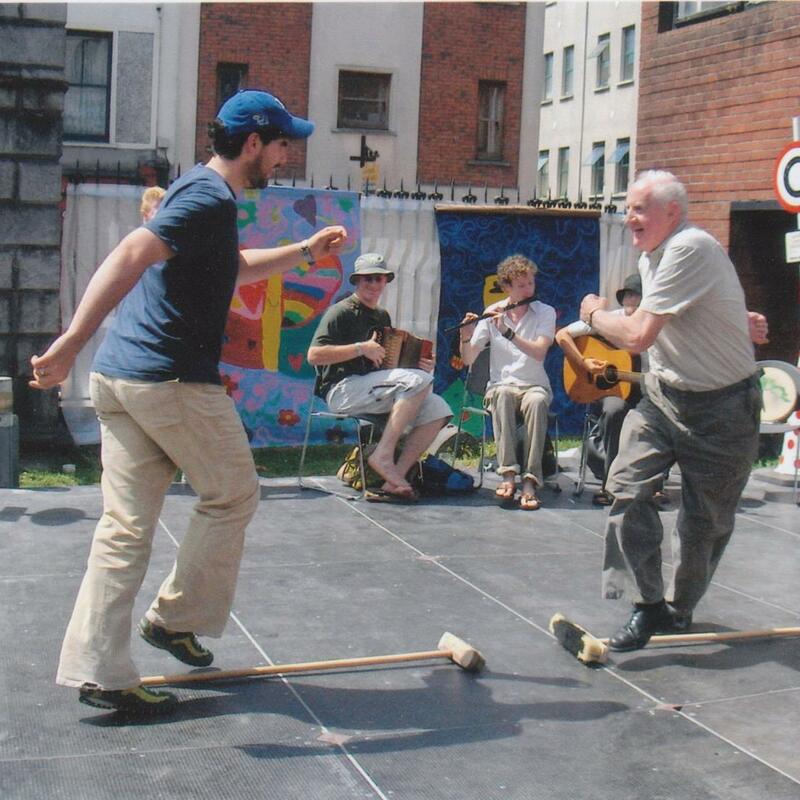 Whether playing, singing, or dancing, this music is not created as a solo venture: it is a shared social activity. The instruments, the call and response nature of the singing, and the communicative percussion of the dancing between singers and musicians, creates myriad social and musical interactions. 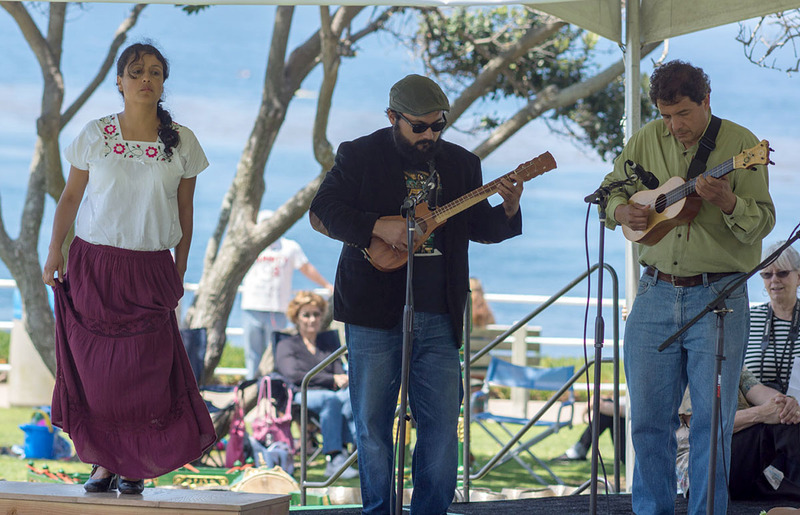 It is a social music, and Eduardo has tried to remain true to this central aspect of son jarocho music as he continues his efforts to cultivate a similar musical community in the San Diego region. Wu Man Makes Pipa an Instrument of Change, San Diego Union Tribune — May 8, 2014. 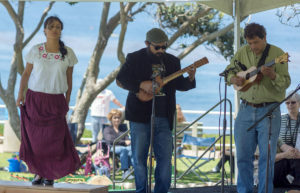 Wu Man and Son de San Diego collaboration at the Carlsbad Music Festival. 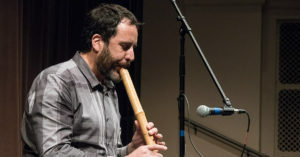 A Supercomputer Center is an unconventional place to find an ethnomusicologist. Yet, this is where we find Dr. Alex Khalil, an unconventional musician-scholar in whom the disjunct worlds of musicology and neural computation converge. This makes him, in a word, “eccentric.” No, not the “zany, frizzy-haired and absent-minded genius” type of eccentric. (Well, the “genius” likely applies, though Alex would deny it vehemently.) Rather, he is eccentric in that he makes a habit of pursuing those questions that carry him far beyond the comfortable center of any one world of standard practice or academic discipline. 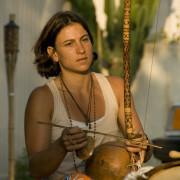 Alex holds a Master of Fine Arts degree in Music Composition and Performance from CalArts and a PhD with an emphasis in ethnomusicology from U.C. San Diego. 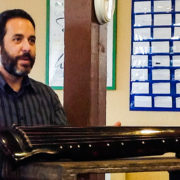 He has spent more than twenty years conducting research on several Asian musics (primarily those of China, Japan, and Indonesia), speaks Mandarin and Indonesian, plays a host of traditional instruments (specializing in Balinese gamelan and Chinese guqin), and has worked extensively with the Center for World Music for over three decades, including stints as Executive Director and Teaching Artist in Residence. His current post? Project scientist at UCSD’s Institute for Neural Computation and research fellow for the Temporal Dynamics in Learning Center. How did this happen? 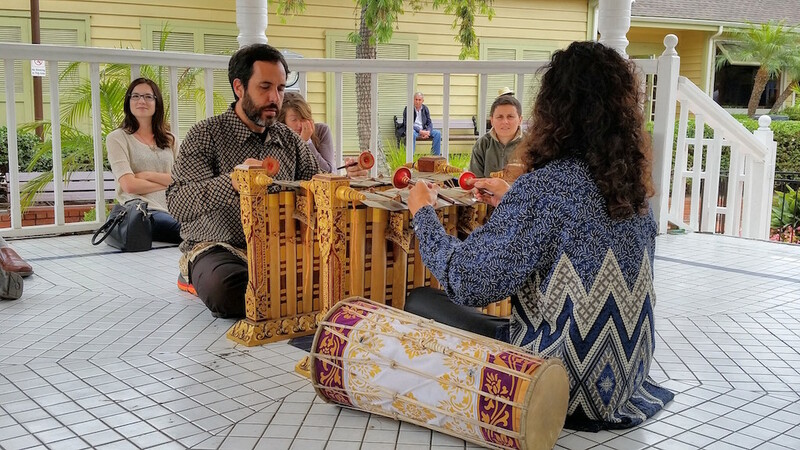 What may appear as a dramatic career shift is really a natural continuation, a fulfillment of Alex’s varied abilities and ideas that were sparked while he was teaching in the CWM’s Balinese gamelan program, which he established alongside Center founder Robert Brown back in 1999. In gamelan, rhythmic precision and tight group synchrony are vital. Gradually, Alex noticed that most children synchronized relatively easily, while a few struggled. “It clearly wasn’t for a lack of effort, nor did it correlate with their musical ability in anything other than rhythm. This was strange.” He later discovered that all of these struggling students also had attention deficits. Through further testing he established a definitive correlation between attention and rhythmic timing. 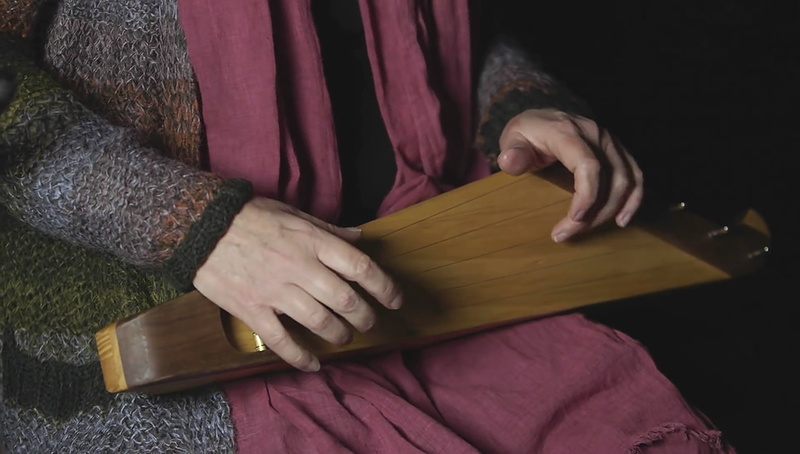 Further study could show that musical practice might facilitate improvement, not just in musical timing but beyond gamelan and into interpersonal communication, which is also fundamentally rhythmic. Alex Khalil embodies the heart of what the CWM promotes in its youth education program, World Music in the Schools: we solve problems better when we are skilled at listening and acting across the boundaries between cognitive worlds, even those that seem so stubbornly divergent as “science” and “the arts.” Something as seemingly simple as learning an unfamiliar musical style can, in a sense, make us bilingual. Nine-year old Olivia, a gamelan student from The Museum School, makes this crystal-clear when she says that “it’s fun to learn another culture’s music because then you can kind of speak with them, in a way.” You’re right Olivia! Cultural fluency can be fun, and, as Alex demonstrates, it can also provide a lens for viewing and solving old problems in new ways. Speaking of cultural fluency, can you guess Alex’s central passion since childhood? It’s unlikely that Byzantine chant came to mind. But for Alex, who still frequently performs as a cantor in a Greek Orthodox Church in San Diego, this is not just another thing he does. Just as gamelan rhythms might improve communication skills, on a cognitive level our various activities don’t stay in neat compartments as we might expect. The many worlds in which we participate converge, integrate, and become the world we know. As we depart the supercomputer center where we found Alex Khalil, our world has already grown. But it also imparts a question, really a personal challenge: how will you expand your horizons today? Read an article written by Alex on the value of music education for kids for The Smithsonian’s Museum of Asian Art here. Learn more about the CWM’s World Music in the Schools gamelan program at the Museum School here. 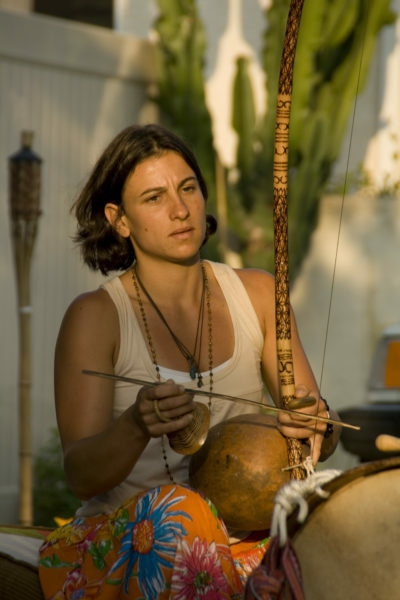 The Center for World Music would like to welcome back Nomsa Burkhardt to our family of outstanding teaching artists in residence, rejoining our World Music in the Schools program. 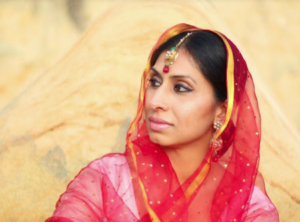 Update: Congratulations to Nomsa Burkhardt, Teaching Artist for the World Music in the Schools program, for winning a grant from Rising Arts Leaders San Diego to attend the Teaching Artist Institute. Born in Soweto, Center for World Music distinguished teaching artist Nomsa Burkhardt is an extraordinary South African musician and dancer. She spent her formative years in KwaZulu, Natal, a region famous for its rich Zulu heritage and culture. There, she studied various traditional dance styles with master dancers, such as Indlamu, ukuQhobosha, and ukuSina. After immigrating to Philadelphia, she co-founded the African dance troupe HIMOSHA. Her artistic skills and passion for dance quickly propelled her into serving as both the director and lead choreographer for the troupe for seven years. She collaborated with well-known Philadelphia-based South African multi-instrumentalist and artist Mogauwane Mahloele at the Philadelphia Museum of Art, the Walt Whitman Cultural Arts Center, and at many universities and schools. 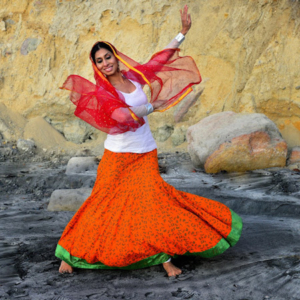 She also performed and conducted workshops annually at the Philly Dance Africa Project. In 2000 she returned to South Africa to study with the accomplished ethnomusicologist Prof. Meki Nzewi at the University of Pretoria. 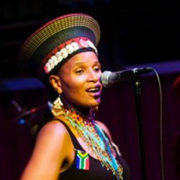 Upon her return to the USA in 2004, she joined the Grammy-nominated South African band Sharon Katz & The Peace Train. As part of the Peace Train Project at the National Liberty Museum in Philadelphia, Nomsa was instrumental in developing a teacher-training program that focused on South African history and conducted a series of educational performances. Nomsa has toured throughout the USA, South Africa, Israel, Italy, and Germany. She is the co-founder of IZINDE, an Afro-fusion band composed of performing artists from around the world. Under the sponsorship of the Center for World Music, Nomsa was selected in September 2017 to participate in the Teaching Artist Institute, a professional development program offered by Arts for Learning San Diego, an affiliate of Young Audiences/Arts for Learning. 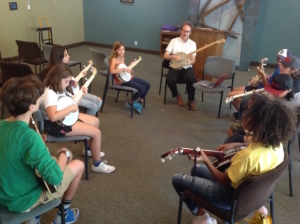 For a working musician who collaborates with schools as a teaching artist, this program is of tremendous value. Nomsa was awarded a Virgil Yalong matching grant from Rising Arts Leaders San Diego to support her participation in the Teaching Artist Institute. 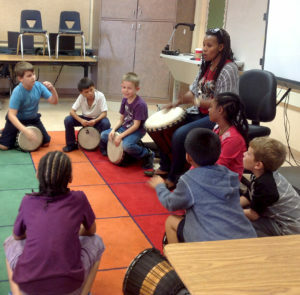 Nomsa is a distinguished teaching artist for Center for World Music’s NEA-funded hands-on schools program. 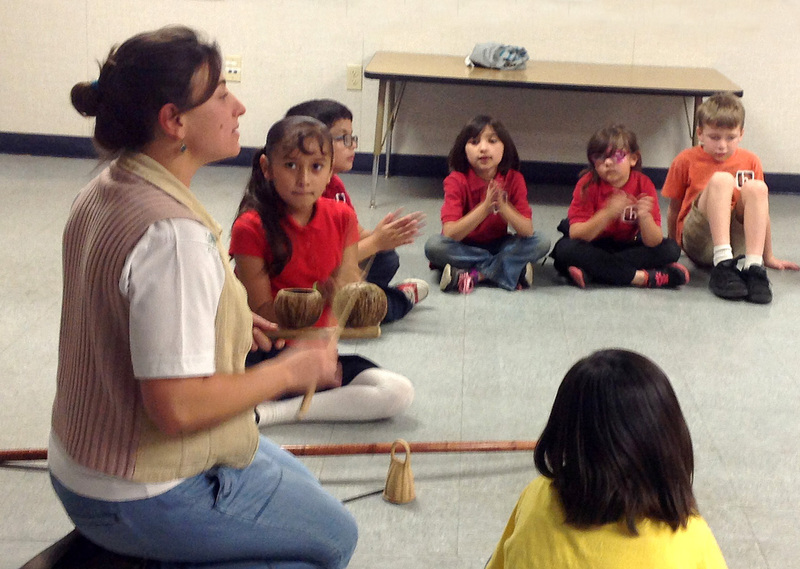 Her student-centered curriculum exceeds California arts standards by bringing joy and heartfelt fun into San Diego classrooms, while addressing core learning outcomes. Through the study of the traditional music and dance of South Africa, Nomsa’s classes focus on the importance of history and culture in the creation of music, the use of musical instruments, and the expression of community unity and collaboration through the performing arts. Students learn the geographical origins of musical instruments, increasing their global awareness and providing them with a global context to the music and dance of Zulu and Xhosa cultures. Nomsa integrates the science of making musical instruments in her program, and her students enjoy a diversity of music-making through singing and games that involve stories and simple songs, enhancing the connections to other disciplines such as literacy and math. World Music in the Schools and the children of San Diego are fortunate to have Nomsa Burkhardt spreading joy and understanding through the traditional music and dance of South Africa. The Center for World Music would like to recognize Mark Lamson for his dedication as an outstanding teaching artist in residence for World Music in the Schools. Center for World Music teaching artist Mark Lamson is a highly acclaimed percussionist, ensemble director, recording artist, producer, educator, and one of San Diego’s best-recognized authorities on Cuban and Brazilian drumming and percussion. 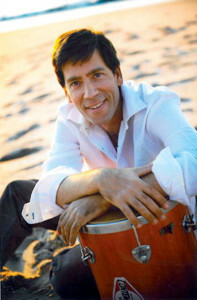 As a valued instructor in our World Music in the Schools program, he has taught the exciting rhythms of Afro-Cuban and Afro-Brazilian drumming, communicating concepts in music, math, collaboration, and culture to hundreds of San Diego school children in his classes. Mark has seven recordings and countless performances to his credit. 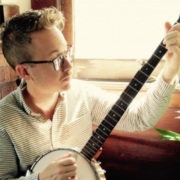 He is known for his professionalism, expertise, and experience in playing a broad range of musical styles, and for assembling ensembles featuring top-notch talent. 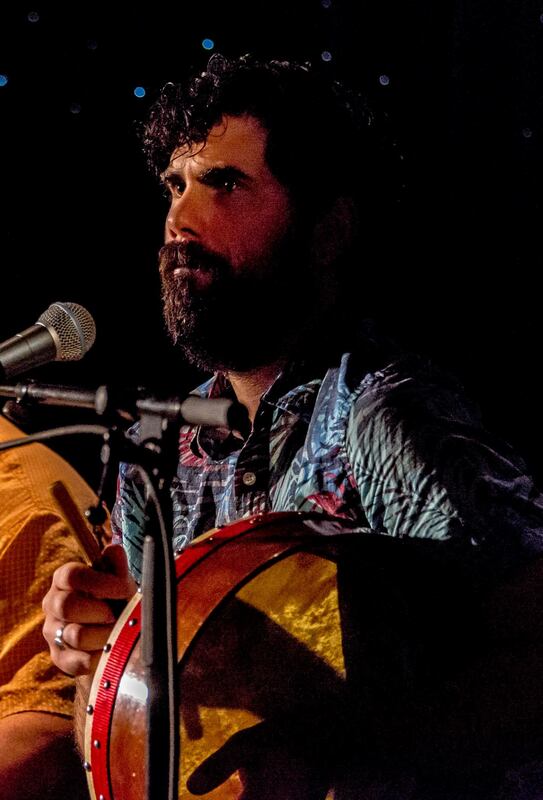 While Mark’s repertoire includes R&B, rock, Latin jazz, New Orleans brass band, funk, and hip hop, his true passion lies in fusing the popular and traditional music of Brazil and Cuba, with modern American and Latin American styles. 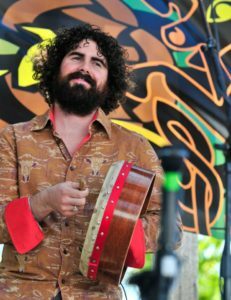 Based in San Diego, California, Mark is the director and lead percussionist for Sol e Mar, a dynamic Brazilian/Latin music collective which he co-founded in 1985. Sol e Mar can deploy anywhere from 3 to 50 performers, ranging from a bossa nova jazz trio to a full drum bateria replete with Brazilian samba dancers in full Carnaval regalia. 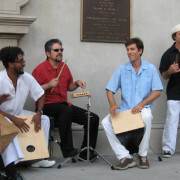 In 1994, Sol e Mar won “Best Latin Band” at the Second Annual San Diego Music Awards. Mark is an adjunct faculty member at San Diego State University and has also taught at Santa Clara University in San Jose, California, at California State University Long Beach, and at Palomar College. He is a sought-after workshop leader and lecturer, and has been invited to teach and speak at institutions of learning across the United States and around the world. 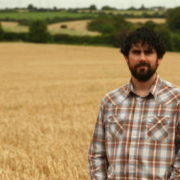 Check out Mark’s website at http://marklamson.com/. 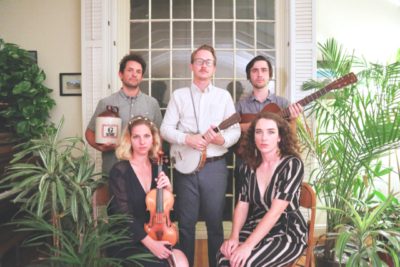 To see Mark perform with Sol e Mar visit their website for a list of their upcoming performances. http://solemarevents.com/.